Here you can explore articles and stories that we are telling from the front-lines of climate change. Lunch will be provided at the meeting, so we need to know if you are coming on Saturday, Dec. 29! 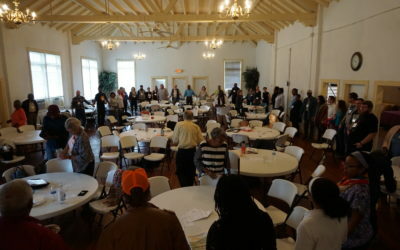 The North Carolina Environmental Justice Network quarterly meeting is hosted by The Concerned Citizens of Northampton County. After the meeting, it will be possible to view some of the damage caused by the Atlantic Coast Pipeline. This gathering will include discussion on community issues and concerns in Northampton County, news on the Atlantic Coast Pipeline, an update on the election outcome and updates from the Julius L. Chamber Center for Civil Rights! Do You or a Neighbor Need to Test Your Well After Florence or Other Contamination? Register for our 20th Annual EJ Summit! “Rise Up! Roadshow” in Nash County, NC! Join Us!